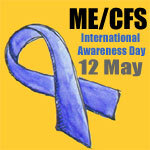 On International ME/CFS Awareness Day Invest in ME has published an open letter to the Chief Medical Officer in the UK. As you know Invest in ME is a UK charity that was created by families of children with ME or persons who suffer from ME themselves and who were appalled and frustrated at the lack of action from government, departments of health, healthcare organisations, charities and individuals – all purporting to service or represent people with ME yet seemingly doing little or nothing. They indicate that a seat has been reserved for the Chief Medical Officer at the International ME/CFS conference in Westminster, London later this month despite a lack of engagement from the government over the past 4 years. “On this day of awareness Invest in ME invite you to make a complete change in direction regarding ME and take on the role of champion of people with ME. We invite you to make the treatment and eventual cure of ME your personal responsibility, something which no other government department or medical research organisation or vested interest can hijack or use for their own purposes. On 29th May in Westminster, London, there is a seat reserved for you to listen to the latest, groundbreaking research being performed by the best researchers in the world. The conference discusses severe ME. On this day of awareness Invest in ME invite you to make a difference, draw a line in the sand and advance the cause of progress for people with ME.